Country of Origin: Italy. This mixed-milk cheese is produced with sheep and cows’ milk from animals that are left free to pasture in the summer. 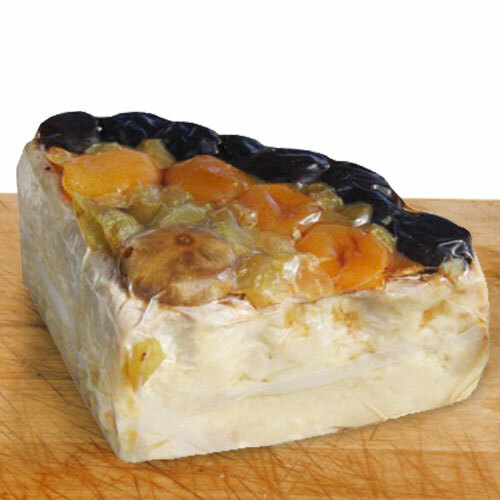 This cheese is aged for at least 4 months, infused with grappa and topped with various dried fruits, including apricots and figs which provides this cheese with its unique and exceptional flavor. This is a must try!